With the controversy that has come out of the Great British Bake Off, I have a new show to pitch. The Great Brownie Bake Off. It won’t get made in the UK but it can easily be made in some states in America. This is because of the legal aspect of the show. The concept would be simple. It’s exactly the same as the British version but with one extra ingredient. That being cannabis! I’m sure it would take the world by storm. Just imagine the judges after a couple of rounds of testing the culinary delights. It may start of with bitchy comments but as the show goes on it may mellow. It might just carry on being bitchy until half way through the voting when the drugs kick in. Imaging one of the UK judges high as a kite fighting the giggles to give an unbiased critique of the consistency, taste and drug level of a certain cake that appears in front of them. It’s the perfect show for the local PBS station. They can be quite desperate for items to fill time. I have seen some strange things on PBS when I have been in America. This concept wouldn’t be that high on the strangeometer of, local, American TV shows. I’m sure the viewing figures will increase over time and especially today with social media being in the fore of the web. Would the recipes be available to download from the show’s website? 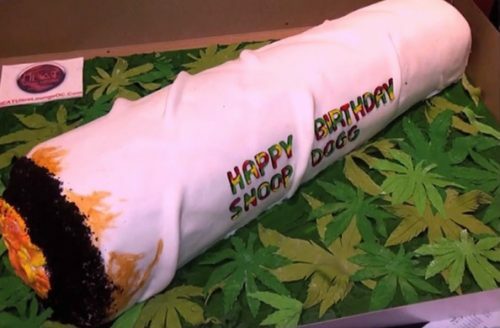 Would there be tips on what strains produce the best cakes? Would it be streamed over the internet? Would this be a good idea for a series? I’m sure some US regulator would try and stop it being shown because of some moralistic Christian stance. This isn’t a piece to say Legalise it. However, just think about it for a second. If the government does legalise it, just think of how much money they could make in taxes. It would, probably, mean that the price would increase and the old drug smugglers would be facing prison for tax evasion [ see Al Capone for more on this ] instead of drug smuggling.